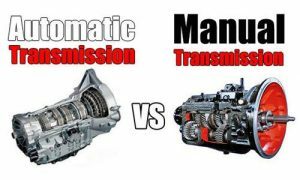 A transmission is the device through which the power from the engine is sent to the wheels, causing them to move the vehicle, and come with the options of automatic shifting gears or allowing the driver to do so. There are many components of a transmission that can deteriorate or become damaged through either a trauma or normal wear throughout the years. A clutch, which can last anywhere from 50,000 to 100,000 miles, is an essential part of the function of a manual transmission. It is the connection point between the vehicle’s engine and transmission. Pushing the clutch pedal breaks the connection and the driver shifts gears. Its life is also affected by a variety of driving conditions as well, including stop-and-go city driving, “riding the clutch” (the driver resting their foot on the pedal while the car is moving), and the frequency of pulling heavy loads. Transmission issues can also occur over the winter if a driver attempted to rock their car when they were stuck and wasn’t careful with their shifting. AJ’s Transmissions can help anyone from Akron to Mogadore determine if they are experiencing symptoms of a bad clutch with a quick stop and can repair any clutch — including hydraulic, cable, and linkage clutches. People from Lakemore to Ellet call and visit AJ’s Transmissions daily with a variety of issues that include their check transmission light being illuminated or they found reddish, thin fluid on the ground where they last parked. A vehicle may start out slowly even though the engine is racing, otherwise known as clutch slippage. This can mean that the clutch disc is worn out, but it can also be that the clutch linkage is in need of alignment, the cable house is filled with rust, the clutch linkage is damaged, the pressure plate is weakened, and much more. A vehicle may not be shifting smoothly, making it hard to get it in or out of reverse, meaning there is a linkage malfunction or warped clutch plate. The clutch pedal may be making noises or is vibrating, a telltale sign that the clutch disc in intermittently losing its grip on the flywheel. The cause may never be discovered, but the symptoms of a bad clutch are specific. This local transmission shop gives a free diagnosis and estimates for either an affordable transmission repair or rebuild. They service foreign and domestic, standard and automatic cars, trucks, vans, plow trucks, high-performance race vehicles, diesels, school buses, commercial vehicles, and RV’s. People depend upon their vehicles to get them and their family to and from places safely, and car issues are one of the most stressful situations that a car owner can go through. 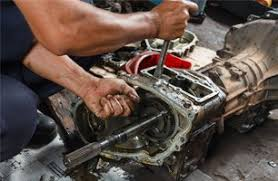 The unknown amount of the time and money involved when a vehicle is in the shop can cause great anxiety but can be relieved by calling AJ’s Transmissions in Akron, Ohio. 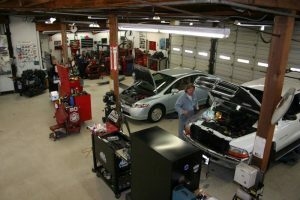 Whether a car in Mogadore, Ohio, has a check transmission light showing an issue or a truck in Ellet, Ohio, has presented symptoms of a bad clutch, this local transmission shop offers affordable transmission repair and rebuilds. Some of the problems that will show for a transmission issue are if there is clutch slippage or the pedal is vibrating, if there is fluid on the ground where someone last parked, or if the vehicle is not shifting smoothly. Anyone in and around Lakemore, Ohio, can find a trusted resource for years to come at AJ’s Transmissions. This entry was posted in Automobile, Transmission and tagged affordable transmission rebuild Akron Lakemore Ellet Mogadore Ohio, affordable transmission repair Akron Lakemore Ellet Mogadore Ohio, AJ’s Transmissions, check transmission light Akron Lakemore Ellet Mogadore Ohio, clutch pedal is vibrating Akron Lakemore Ellet Mogadore Ohio, clutch slippage Akron Lakemore Ellet Mogadore Ohio, fluid on ground where last parked Akron Lakemore Ellet Mogadore Ohio, local transmission shop Akron Lakemore Ellet Mogadore Ohio, symptoms of a bad clutch Akron Lakemore Ellet Mogadore Ohio, vehicle not shifting smoothly Akron Lakemore Ellet Mogadore Ohio by admin. Bookmark the permalink.